In my SYTYCD week 4 challenge post, I promised to explain a little more about how we created our master bedroom headboard, so today I thought I'd do just that! As I've mentioned previously I wanted to go with some sort of architectural salvage as a headboard. An order, it seems, that proves to be quite tall when you are trying to stick within a budget. I visited a local architectural salvage shop and found many wonderful alternatives, but decided finally to use a narrow 5 panel door. When it came down to it, however, I just couldn't bring myself to fork over the cash. So I debated and debated about what to do. And the answer finally came when the hubby and I were cleaning out our storage room. We came across some old wood left here for who knows how long. And when I say old, I mean old. And cracked and looking more like it should go in the burn pile than anything else. But the wood spoke to me. (Not literally, silly. ) And I knew that it would make a perfect headboard. So I asked the Hubby in my sweetest wifey way if he would build me one. I told him I wanted it to resemble a narrow five panel door and that I wanted it to have character. He added that he wanted it to be substantial, and Anthropologie-ish. Yes, I am telling the truth. The HUBBY said that. No, really, I promise he did. In order to make the headboard "substantial", the first thing we did was to glue three long planks together back to back to make them thicker (one plank on the back and two on the front). You can see in the photo above that we left a seam, and chose purposely to use the side that was more uneven and cracked as the front. We clamped the boards and let them dry overnight. After they were thoroughly dry, the hubby cut the boards to length (approximately 80") and set to work trimming the "door" out with 1x3's. He simply cut 80" lengths for the top and bottom and then cut the shorter lengths (5 of them ) to make the "panels" - and yes, 5 cross pieces creates 4 panels - not 5 - and I'm okay with that. From here all we did (and when I say we, I mean the Hubby) was screw them together. After I saw the finished product, I asked him to add another small piece to the top and have it hang over about 1/4" to give it more of a finished "headboard-ish" feel. Then came the fun part. We took a hammer and banged that door until it looked nice and aged. Rather than filling the screw holes in with wood putty, the Hubby had the idea of adding wood plugs. He glued them in...a little haphazardly...to help with the aged and used look we were going for. Finally we painted it out in a soft dove gray. "Moonlight" by Ralph Lauren. (I know, I know Home Depot doesn't carry RL paint anymore, but according to AnNicole, the RL company says that the paints will still be available at independent distributors, so breathe easy folks!!) We purposely did not prime the wood to allow the knots and imperfections to come through and add to the age-y feeling!! Now because of the Hubby's need to make this headboard "substantial", it is, shall we say, slightly weighty...okay, it is dang heavy. So to secure it to the wall, we needed to use large L brackets and long drywall screws. You can see that the brackets stick out just a bit further than the headboard, but that's okey dokey because my pretty curtain panels cover them. 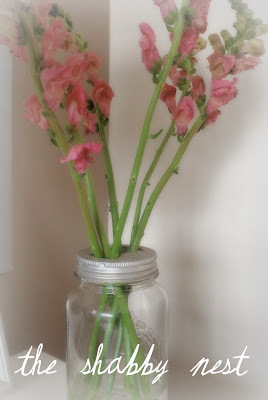 I had a lot of comments about the pretty canning jar. It was a gift, and the lid came with that fun opening in it (it has a glass piece that fits inside.) So I simply removed the glass and used the figure-8-shaped opening to help me arrange the stems. Serendipitous, no? And the curtain panels? They are the Alvine Kottar panels from IKEA. i am loving this room. it looks amazing! This is great! 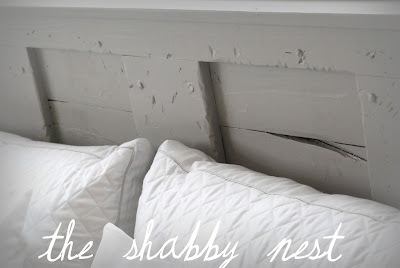 My husband and I are in desperate need of a headboard and we want to make our own. This is another great idea on how to make one that I've found on a blog! are you going to be around the week of July 11th? Wow ! That headboard is amazing! Okay - the whole room looks amazing! Very pretty, Wendy! I think it turned out great and I love the color. 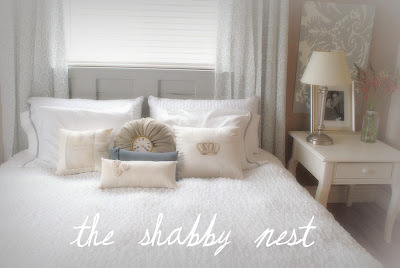 I love the whole look going on in your bedroom! You are really on it this week! So many posts... Are you eating and sleeping??? =) Keep 'em coming. I love this stuff! 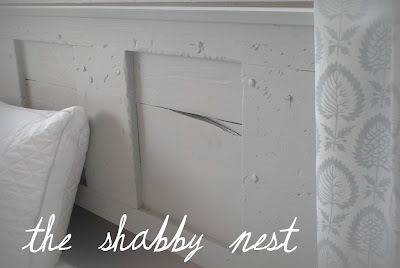 This is a great way to get a good looking headboard..
Love it! - the color, the style, everything. Great job! Love those curtains too...and that damask something or other's by the side of the bed. Yes...lots of love for ya :). 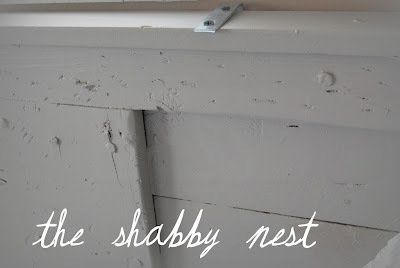 Again, Love your Blog-so inspiring, and so many ideas, how stinking cool to be featured at so you think you can decorate.I will Go vote for you my friend.. Thanks for the much inspiration..